This exclusive release is the oldest and rarest Loch Lomond single malt ever unveiled and only 60 bottles have been produced. This exclusive release is the oldest and rarest Loch Lomond single malt ever unveiled and only 60 bottles have been produced for the privileged few. Loch Lomond has selected Le Comptoir Irlandais to present in exclusivity in France this whisky with two unique bottles. 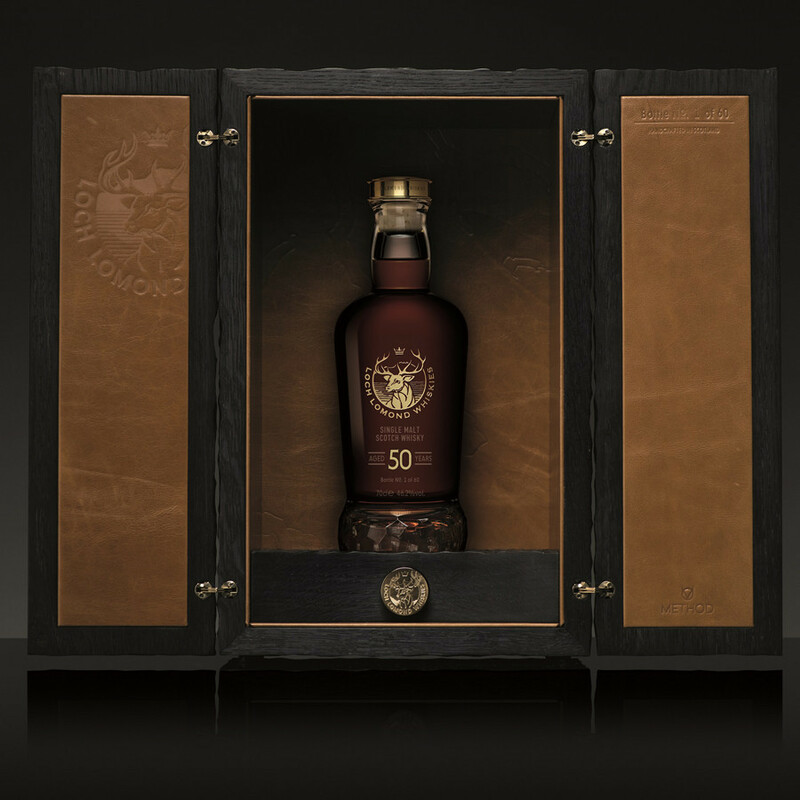 The Loch Lomond 50 Year Old is an exceptionally rare single malt. Distilled on 19th of November 1967 with Scotland’s finest ingredients exclusively in straight neck stills of the distillery, this stunning single malt, coming from a single cask is enormously rich in character. Matured in American oak hogshead for 31 years, the spirit was then re-casked in 1998 in European oak hogshead and laid to rest for a further 19 years. Bottled at 46.2% abv, the marriage of the American and European oak has created a whisky brimming with rich oak spice and tropical fruit, naturally deep amber in colour with beautiful clarity. Befitting of our stunning surroundings, this Single Malt takes pride of place at the pinnacle of Loch Lomond’s collection. The Master Blender, Michael Henry has expertly crafted a Scotch whisky which exudes rich oak spice and tropical fruit. The Tempest Chest designed by Method, a Scottish design studio and luxury artisan workshop, creates the perfect setting for a very unique whisky. The intricacy and detailing involved in handcrafting each individual chest and decanter means every edition is truly one of a kind. 13 900,00 € tax incl. Nose: heady oak spice of clove and cinnamon with sweeter notes of sultanas and raisins with creamy vanilla fudge. Palate: silky mouthfeel rolls over the tongue. Intense vibrant tropical fruit, fresh pineapple and ripe banana with a honey sweetness. Finish: warming stem ginger, bursts of gooseberry and elderflower and waves of tangy grapefruit citrus.